Is your small business startup at the point where it needs some additional funding to get to the next level? Are you looking for ways to get funding for your small business startup? Well, raising capital for a startup can be difficult, particularly in the current economic environment. Many entrepreneurs fail because they don’t perform thorough research before venturing into the business. It’s essential to thoroughly investigate the area of the commercial market you are about to enter, as this will help you in determining the degree of difficulty to finance your business. Securing startups funds can be the toughest part of starting your own business. While the competition for funds gradually increases each day, your chances of securing investors becomes significantly slimmer. This makes starting business startups even more difficult, as new and aspiring entrepreneurs are often turned down for business loans by many traditional lenders. So, before writing an application for business financing, you need to prepare yourself. Here are five helpful tips for financing your Hong Kong business startup. The first and foremost aid for financing your business is that you need to go beyond superficialities and make it clear to your investors that you know your business plan inside out. After all, a business blueprint is the foundation of every successful business, as it outlines the course of the program for several years. Without proper business plans, investors will not see the value of financing your business. Presenting a poorly written business plan to investors is one of the quickest ways to kill your credibility. So, if you are willing to secure sufficient startup funds from investors or lenders, it is mandatory to show them a detailed business plan. A comprehensive business plan not only helps you in attracting investors, but it also helps you in uncovering the opportunities you have identified in the market that will bring profits. The second helpful tip for financing your small business startup is that entrepreneurs are required to maintain a good credit score, as it allows you to enjoy numerous benefits. Through this, you’ll be able to attract more banks to provide you with sufficient funds and better loan terms for the future. But if you have a bad credit score, you should improve it before approaching any financial institutions for loans. Some concrete ways to steadily increase your business credit score include merely applying for business credit cards, making everyday purchases with them and paying them off immediately. Many entrepreneurs don’t apply for business credit cards because of a common misconception that with business credit cards, they will have to pay interest on every single purchase that they make, but that’s not necessarily true. Business owners are only required to pay an interest rate on a credit card payment if they do not pay their bill on time. That’s why it is inherently essential to pay off the bills right after you make a purchase using your business credit card. You must be aware of the fact that networking with success-oriented entrepreneurs will ensure you to build your small business startups significantly. Professional networking is healthy for all sorts of business entities, and it can help you in acquiring the finances to start a new enterprise. Once you’ve done a fixed amount of face-to-face networking, you can also take advantage of excellent networking skills to acquire money through crowdfunding. Typically, crowdfunding is the act of raising small amounts of money from a large number of people. In order to increase a particular amount of money within a specific period, you can use the power of the crowd. Sometimes, these campaigns may rely on the strength of your business campaign, with the business expected to reward supporters in exchange for the investment they put into the company. The next aid for financing your business is to make a budget because it is the financial aspect of every business plan that will guide your new venture. Most of the time lenders or investors demand a detailed budget before releasing funds to their clients. It is pertinent for every small business startup to build a budget where you set your goals and a method for how you’re going to get there. As soon as you make a budget, you need to approach several financial institutions in your location that offer business loans at the lowest interests. The last tip for the financing of your business startup is to seek advice from experienced investors because an experienced and professional investor will show you how they obtained funds to start their own organizations. They will direct you to the right lending firms to get business loans at the lowest interest rates. Apart from advising you, expert investors can also offer you the various resources to start your business successfully. 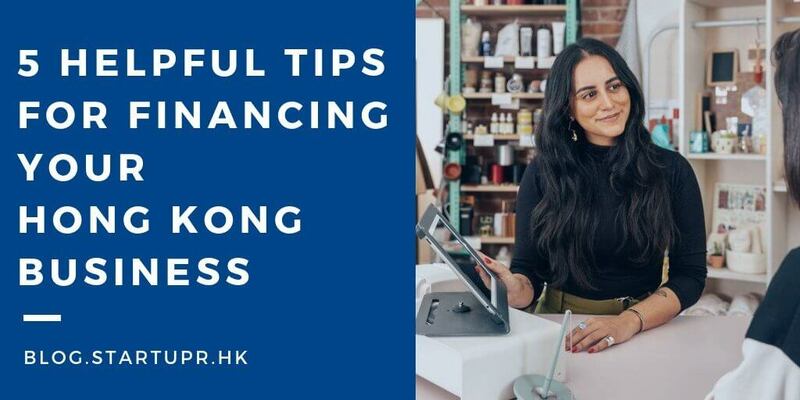 Finding financing when you’re starting a small business startup can be difficult, but by implementing the above tips, you will be able to acquire sufficient finances for your business. And when you have got the money and need some assistance in incorporating the company, Startupr can be contacted.